Boston Now with Kim Carrigan is Boston's daily news podcast for the drive home. Covering the biggest stories in news, sports and entertainment in 25 minutes. 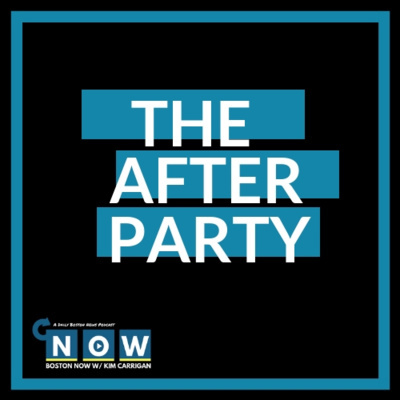 Hosted by Kim Carrigan and produced by David Cullinane. Available weekdays by 4 p.m. ET. Subscribe, rate, review! You can join the conversation on our Facebook Group, Boston News and Discussion. A special conversation with philanthropist Bill Cummings. The City of Boston discussing Early Voting; Boston City Councilor Josh Zakim; Diversity in the State Police; State Representative Russell Holmes; State Representative Eric Lesser on Paying Workers to Live in Western Mass. The search for Olivia Ambrose; Investigative Reporter Michele McPhee & Security Expert Dan Linksey; The Supreme Court makes multiple rulings; Matthew Baum, Professor at Harvard University; Developers Pushing 'Uptown' in Boston; Tim Logan, Boston Globe UPDATE at 3:22PM ET: The search for Olivia Ambrose appears to be over as Michele McPhee is reporting she has been found and a suspect is in custody. Day 21 of the shutdown; Congressman Jim McGovern; Mark Arsenault of the Boston Globe gives an update on the Wynn Everett Casino; Bruce Mohl of Commonwealth Magazine details the Mass Pike Overhaul; Danny Picard of PodcastOne gives a Patriots Preview. The President to address the nation from the Oval Office; Boston Fire Department has a diversity program; UMass trying to shed its 'ZooMass' reputation. Kim and Dave were supposed to talk about news they didn't get to on the first episode of Boston Now... Then they didn't. Kevin Spacey enters a Nantucket courtroom; Government Shutdown Day 17 & Substitute Teachers in High Demand. Join our discussion inside our Facebook Group, Boston News and Discussion. Well... Let's give it a go. 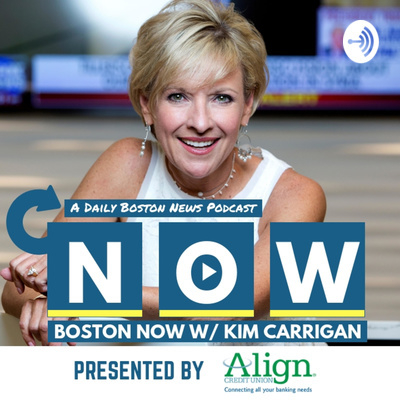 Boston Now, the new daily podcast from Kim Carrigan, will give you the latest news in and around the city of Boston. Launching January 7. Subscribe, Rate, Review, right now!